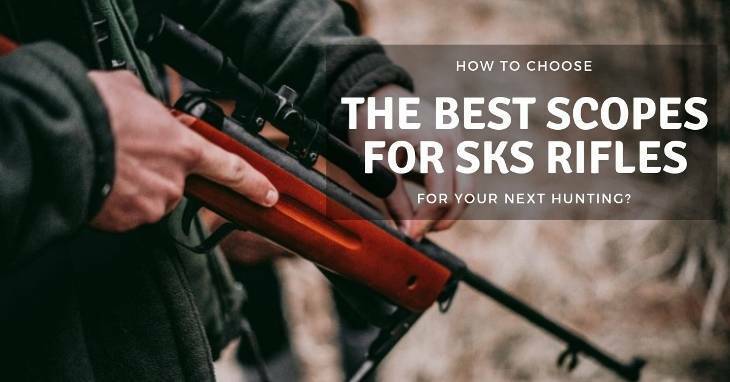 →How to Choose the Best Scopes for SKS Rifles for Your Next Hunting? How to Choose the Best Scopes for SKS Rifles for Your Next Hunting? Although the SKS is known as an easy-to-shoot, powerful and affordable rifle, it comes with a terrible sight (best used under 300 meters). And to improve its effectiveness, you need to get an optic, particularly an SKS scope. But how to find the best scopes for SKS rifles? Follow us, and you will know now! Since the SKS is neither a high-end rifle nor expensive, you can stick to low-cost or average scopes. Also, you need to determine your purpose and how you plan to shoot with it. Of course, we will mention top scopes for SKS rifles. But now we want to discuss some considerations that you MUST know for sure. From there, you easily make your decision. Depending on your mounting setup, the kind of scope will be different. People tend to select a forward mounted rail because of the top ejection port. Besides, the forward mount is much cheaper than a receiver mount. However, this mount requires a dedicated scout scope. Scout scopes come with a long eye relief that helps to move the scope farther. It also lets you shoot with both eyes, giving a better sight and broader view. Relying on that, you easily track moving targets. Meanwhile, the traditional scope offers a high magnification range than the scout one (over 7x). And in this case, you need the receiver mount to attach this scope. How to find the suitable magnifying power of the SKS scope? It’s best to opt for a magnification that is fit for the range of 300 yards. If you’re using the 7.62x39mm rifle, 9x power is what you need. Anything more will make you meet troubles to get target fixation. You even cannot see your target clearly when you want to perform a quick snapshot. The objective lens is placed on the far end of the scope. And the last number in the description of the scope is the size of the objective lens. For instance, a scope with the number of 5.5-22x56mm will include a 56mm objective lens. So, the bigger the number is, the better you can shoot in low light. But all in all, the lens that is at least 50mm is highly suggested. Most of the scopes has coated optics and a sealed, nitrogen purged tube; meanwhile, the reticle can make the scope stand out. In our opinion, you should find the illuminated reticle to help you determine targets in all lighting conditions. Since the SKS is a lightweight carbine with an intermediate round, you need to search for the scope that is lightweight and compact. Relying on that, you won’t ruin the handling characteristics of this rifle and end up with a big package. The scope needs to have a decent warranty to reflect its quality. Avoid buying a scope from a brand that won’t offer service if it breaks. The SKS rifle includes an open breech and force spent brass vertically out of the chamber. That means you need to have an offset to lift the height of the scope; that is a scope mount. And make sure this mount is stable, durable, and secure. So, how to mount your SKS scope? Firstly, the scope or any attachment need to be securely fastened to the rifle with minimal movement. This ensures better shooting accuracy when firing. And to guarantee that the mount is firmly attached, you have to understand the best techniques to mount the scope on the SKS. Additionally, you need to place the scope according to the optic and mounting base so that it won’t get damaged when the rifle is shot from the ejection port. Since the 7.62x39mm rifle being comparable in power to some 30-30 rounds, the SKS is mainly used as a deer cartridge in some places. Also, you should notice practical considerations like loading with stripper clips. Or the problems of spent brass, modest magnification mounted on a secure, stable mount or a compact scope with fixed power are highly recommended. NOTE that the SKS rifles aren’t designed for the sniper-like accuracy. However, it’s good enough for your hunting. Now, let’s turn back to what we mentioned from the beginning! What you need at this time is to find one of the scopes to increase the accuracy of your SKS. These best SKS scopes in our list below have been selected to fit the basic operational parameters and functionality the rifle is capable of. The truth is that we are a BIG fan of Vortex Optics because of two things including innovative and value-driven. Their products come with high-quality feature and parts that support you best. And here is the Strike Eagle 1-6x24. This scope is made exclusively for precision shooting or bench rest. You can get everything including 30mm tube, an illuminated reticle, and a single glass on a carbine. But what makes us love this product is its magnification. Ranging from 1x to 6x, it offers a high-quality and multi-coated lens for clear sight and optimal low light performance. Wonderfully, you can try pairing it with the glass-etched BDC reticle and then you can shoot further than the 7.62x39mm rifle. Well, the Strike Eagle from Vortex Optics has the fast focus dial on the eyepiece to keep your reticle sharp. More importantly, it guarantees reliability in all weather conditions. This product DOES come with Vortex lifetime warranty. But you might never need it because you might destroy your rifle before damaging the scope. 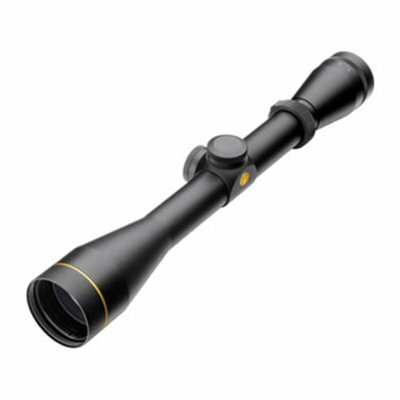 Similar to Vortex Optics, Leupold has been a popular company when it comes to best SKS rifle scopes on the market. 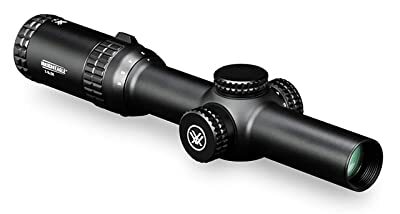 And if you are interested in this brand, you cannot go wrong with the Leupold 110797 VX-2. One of the first brilliant points that we extremely love is its high-quality built. 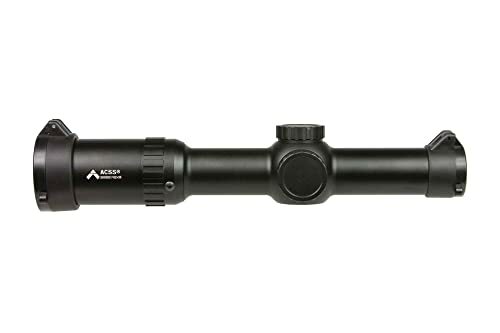 This scope is made of 6061 T6 aircraft grade aluminum, giving a sturdy construction as well as a minimal weight. Also, it’s filled with a blend of Krypton and Argon, which makes it resistant to fog and waterproof. The next best thing is all about delivering clear and bright images. With great light transmission of up to 94%, the quality of images is significantly improved. Moreover, the VX-2 is equipped with multicolored optics, allowing you to use even in poorly lit zones. And thanks to DiamondCoat lens coatings, the glasses will be scratch-resistant to prevent visible damages. With the ¼ MOA finger click adjustments, you can easily make quick changes by your fingers without using additional tools. And you never worry about defective or damaged scopes since Leupold offers an excellent lifetime guarantee. Although Primary Arms is a new kid in the firearm industry, this company is famous for their top optics for the rifles. Among, the Primary Arms 1-6x24mm SFP scope is what you need, guys. For this product, all the lenses are multi-coated. These coatings are vital for gathering and transmitting light. So, the result is that you can get sharper and brighter images. Having the second focal plane design is also a BIG point. It’s because this kind of design offers better performance at all times. Even if you alter the power, the reticle of the scope remains the same size. And this is good for getting fast target acquisition and better accuracy. The eye relief of this model is rather impressive (from 3.3 to 3.5 inches). That means the scope will dig into your eye socket every time you shoot. Additionally, its aluminum body construction is anodized a hard finish, offering better durability and excellent weather resistance. Of course, Primary Arms offers a great lifetime warranty for any defect of workmanship or materials. As long as you follow us from the beginning, finding the best scopes for SKS rifles is not a challenge. Among the three listed above, we highly suggest the Leupold 110797 VX-2 scope. This model boasts one of the brightest and durable scopes in the firearm field. And importantly, it comes with an affordable price if you have a tight budget. It’s time to get your hands on an excellent scope and enjoy your next hunting with your SKS rifle! Be fun!